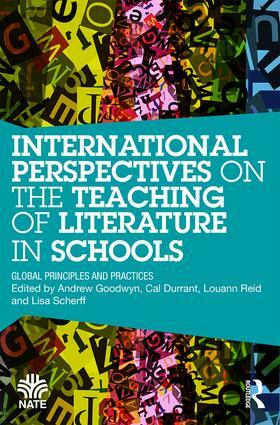 Literature teaching remains central to the teaching of English around the world. This edited text brings together expert global figures under the banner of the International Federation for the Teaching of English (IFTE). The book captures a state-of-the-art snapshot of leading trends in current literature teaching, as well as detailing predicted trends for the future. the changing definitions of literature and multimodal texts. The collection reviews the consistently important place of literature in the education of young people and provides international evidence of its enduring value and contribution to education, resisting the functionalist and narrowly nationalist perspectives of misguided government authorities. International Perspectives on the Teaching of Literature in Schools will be of value to researchers, PhD students, literature scholars, practitioners, teacher educators, teachers and all those in the extensive academic community interested in English and literacy around the world. Professor Andrew Goodwyn is President of IFTE and Head of Education at The University of Bedfordshire and Emeritus Professor at the University of Reading, UK. Associate Professor Cal Durrant is a Faculty member at Murdoch University, Australia. Professor Louann Reid is Professor of English at Colorado State University, USA. Dr Lisa Scherff is a Faculty member at Cypress Lake High School, USA.